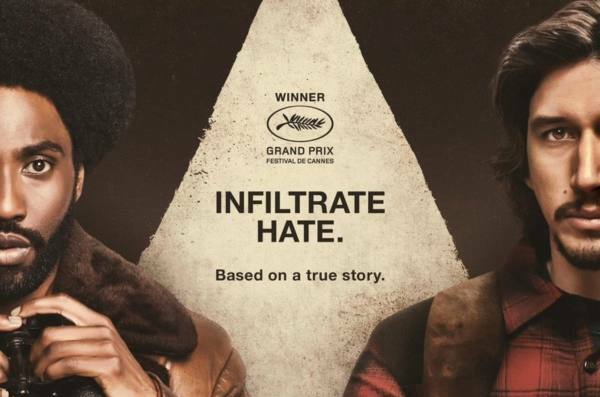 Much hype has surrounded Spike Lee’s BlacKkKlansman due to its political and racial content, drawing similarities and comparisons to the political climate faced by today’s society in the Donald Trump era of so-called divisive and extremely polarising policies. Based on the memoirs of 2014’s Black Klansman by Ron Stallworth, what does this film say, if anything, about racial inequalities from an era set 50 years before the current POTUS? 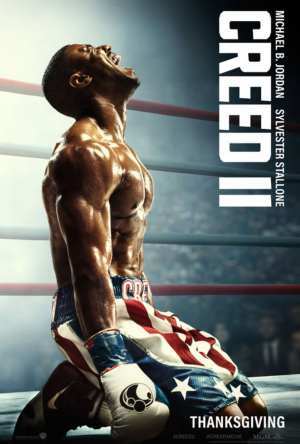 The Setup – What became the selling point for this comedy-drama was the hilarity of the plot where we encounter the goings-on of Ron Stallworth, the first black cop of the Colorado Springs Police Department. He quickly moves from the mundane, abusive file room, to an undercover cop who infiltrates the KKK by impersonating a ‘white guy’ over the phone. This endeavour becomes the catalyst for comedy and extreme laughter, highlighting and challenging ideas of ‘blackness’ and ‘whiteness’. The first part of the film is by far the most compelling, quickly setting up the tone, characters, and direction in an entertaining and comical manner. The story is an easy watch, never straying towards anything too complex or convoluted, instead concentrates on a strong script told by interesting, likeable protagonists. The Acting of the Protagonists – Impressive acting was abundant in this movie, including stellar, but limited performances from Alec Baldwin, Robert John Burke, Michael Buscemi, and Ryan Eggold. But it is John David Washington, playing Ron Stallworth who steals the show, whose performance was tight within moments of high-drama and comedy, to the more tender and romantic occasions. John Washington’s acting style has a strong resemblance to his father Denzel, and has clearly been influenced by his father’s mannerisms, tone, and eloquent recital of words. Although John Washington’s performance in BlacKkKlansman isn’t Oscar worthy (but don’t hold me on that), it was still good enough to make us believe that he may one day follow in his father’s footsteps to achieve ‘Best Actor Award’ glory. A pleasant surprise performance came from Adam Driver who plays the more experienced undercover agent David Zimmerman. His character is equally important as Ron Stallworth and probably more interesting due to his Jewish ‘non-practicing’ background. Whilst Ron initiates the infiltration over the phone, Driver continues it physically, but his ‘Jewish looks’ arouses suspicion to one of the more wacky members of the Klan who constantly goads David with questions about his background and motives. David Zimmerman reminds us that the Klan isn’t just a black-hating organisation, but one that hates everyone who doesn’t fall or fit under the category of ‘White Christian America’. Like Washington, Driver acts fairly uncontrived without being over the top or excessive, never taking any limelight away from Washington and instead, creating a fun, onscreen charismatic chemistry between them. Representation of the Minority – What seems to be a trend in films surrounding the historical inequalities of the black community (e.g. Hidden Figures, The Help), the representation of African-Americans in BlacKkKlansman in a time of greater bigotry, discrimination and disparity than today, never fell to a poor state of sadness or depression, nor did they let the hate get the best of them (with the exception of one scuffle in the police station), always staying strong and optimistic with humorous interactions to fight against the debauchery of white supremacy. The Middle and End – As said before, BlacKkKlansman takes on an interesting premise – undercover black agent infiltrates the Ku Klux Klan by impersonating a racist, xenophobic white guy over the phone. The pacing of the beginning and setup was fairly quick and helped move the film along in a way that kept the audience interested in what would happen next. However, after the infiltration occurs and Zimmerman meets the head of the faction and its members, the momentum and interest of the film takes a turn to a slower pace with nothing really happening in the story. It’s not boring per se, with romance, funny conversations with David Duke (leader of the Ku Klux Klan), and a scene involving a lie detector keeping us slightly enthused, but the change of pace compared to the beginning made the film drag slightly, and the excitement felt at the beginning disparates. Maybe one reason for the drag is that the film portrays the KKK as this violent, dangerous organisation. But it is never really felt that Zimmerman, or any members of the black liberation group were ever under threat, even though the film seemed like it was giving us hints that something major was about to happen. For example, when Stallworth drives away from the Klan after throwing a plant through their kitchen window, Felix, the most unstable member of the Klan, starts firing his gun, but Zimmerman snatches it from him and fires the gun himself only to purposely miss Stallworth. A few scenes later, Zimmerman and the Klan are on a firing range and Zimmerman hits the targets on point. Felix notices this, and it seems that Felix would work out that Zimmerman is not who he says he is. But nothing substantial ever comes of this. The biggest anti-climax though was the ending. Felix finds out through word of mouth, rather than logical deduction, during the after-dinner party of his initiation that Zimmerman is an imposter, so one would have expected havoc to take place, after all, they just initiated a Jew into their Klan and is eating at the same table as them. But like everything noted before, nothing; no drama, no action, no vengeance. Instead, the finale concentrates on Felix’s wife trying to plant a bomb in order to severely hurt and kill the members of the black liberation group. This part was okay, but rather than the occurrence being the result and natural sequential conclusion of what had gone before, it felt more like a quick ex-machina to wrap everything up, and before you know it, everyone is happy, justice is served, and everyone can go back to their day job. The Antagonists – It is most likely that the majority of the audience watching this film won’t be Donald Trump supporters, and so the biggest mistake Spike Lee makes is the characterisations of the KKK members; they are portrayed as paranoid (no matter how justifiably), feeble and stupid (really, really stupid), a stereotype most middle Americans would find offensive and untrue. This is somewhat problematic, as the film does not address the issues why the support came abundant for Donald Trump. Now one could argue that these Trump supporters are paranoid, feeble and stupid, but it is more pragmatic to believe that ideologies like those is what made so many mid-Americans vote for Trump in the first place. Rather than addressing real issues and social depravations faced by white middle-America, it is quite lazy and dangerous for the film to suggest that it is stupidity that lead to the rise of the Trump presidency. What would have been more pragmatic in the film was to highlight the antagonistic character of Walter Breachway, the first member Stallworth contacts over the phone. Walter is the more level-headed, intelligent, charismatic member of the Klan, and one can see why mid-Americans would be drawn to his logical, reasonable, rational thinking, even though a blanket of racism and xenophobia underlines his dogma. Instead, the film decides to demote his status as the head of the faction and swerves towards concentrating on David Duke, a more flimsy, uncharismatic man in comparison. By concentrating on Breachway, at least the film would have offered some form of suggestion as to why supporters voted the way they did, instead of offering us this divisive reasoning, which ironically, can inadvertently bring a bigger gap to the divisions America faces today. The Message – It is clear that the message inferred in BlacKkKlansman speaks about the comparisons of today’s American society under the presidency of Donald Trump, to the historical civil rights campaigns and protests of the 70s, and that after all this time nothing much has changed. It is an interesting ideology that has merits and truth, but the message in the film is so obvious and blatant that it feels slightly preachy, and seems to treat the audience with little belief that they are smart enough to work out semiotics in subtle ways. The last few images of the film were historical scenes of the KKK to the 2017 protests and rallies of Charlottesville, highlighting the tragic death of Heather Hayes, a victim who died after being run over from a vicious car attack. The shift in tone was so abrupt and juxtaposed from the light humour of the film, that the end sequences had a big, emotional impact. Were these images really necessary in any way? Not quite sure. Either way, it is fair to assume that the last few scenes had an impassioned strong-hold on the audience, and so BlacKkKlansman may have had a different affect without it. It was okay. Not as tight or profound as Jordan Peele’s 2017 film Get Out, so not really a must see for the cinema, but no harm in watching it when the film does comes out online. The good humour and the good acting was a delight to see, but the overbearing message and the misuse of characters over-simplified recent historical events. The film neither asks the question or goes into depth as to why Donald Trump became the United States’ President, nor does it give any solution to the ‘Donald Trump problem’. Whilst the intention of the film can be applauded, it feels like the film is exploiting recent events rather than making a commentary about them.